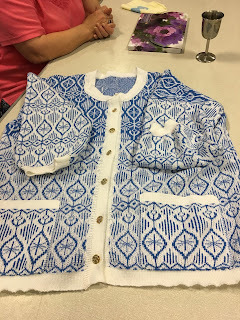 The club was founded over 33 years ago. 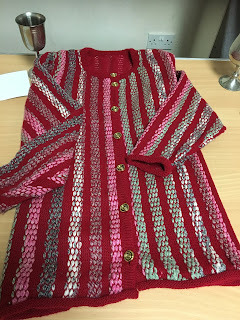 We are a small size group with broad ranges of skills and various machines. Our membership contributes towards occasional speakers at meetings, encourages club member talks, competitions, show and tell and we support nominated charities. 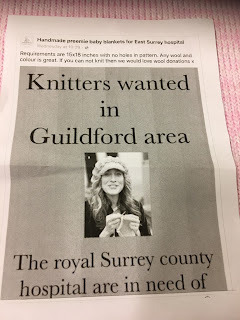 We are always looking to welcome guests and new members to join in, help with knitting challenges and learning techniques as well as visits to craft shows and exhibitions. It has been some time since the blog has been updated. 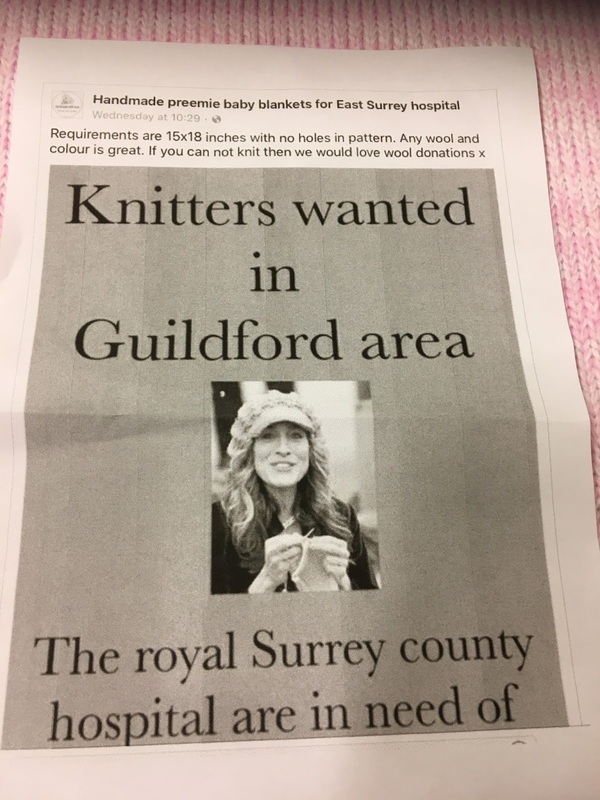 The meetings are still happening monthly at Yateley School but the room on the site has changed a number of times. Meetings are now held in the room next to the library. 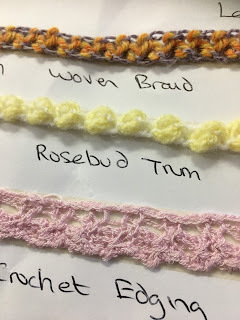 Below are a selection of pictures taken from various meetings since the last post. 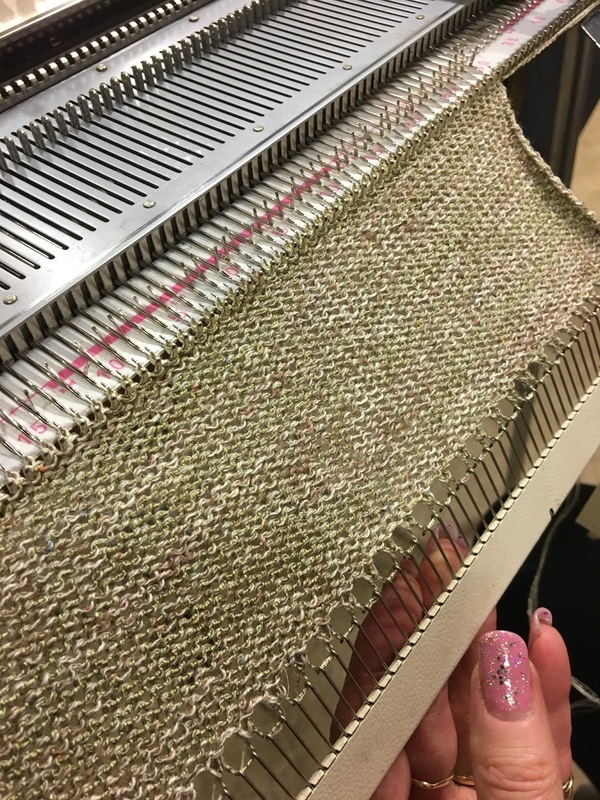 Marcia demonstrated some edgings and shared a number of samples knitted on the single bed and double bed machines. 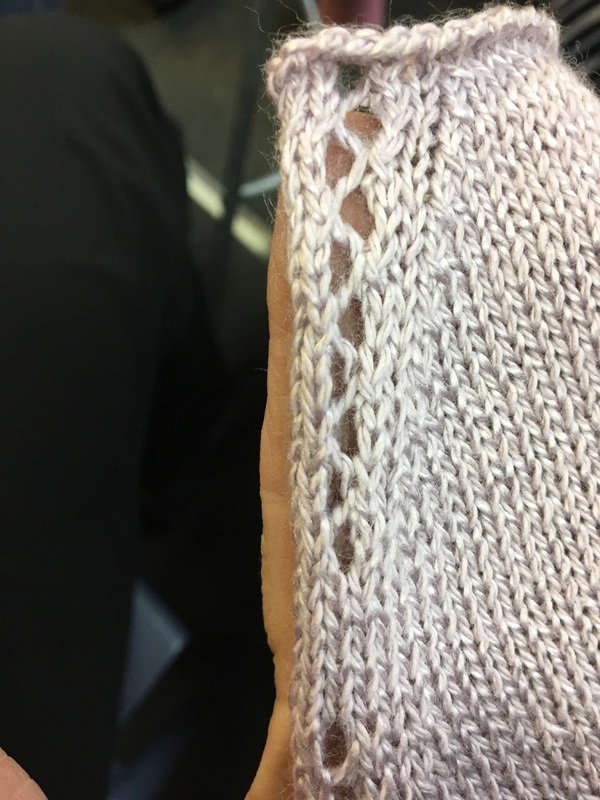 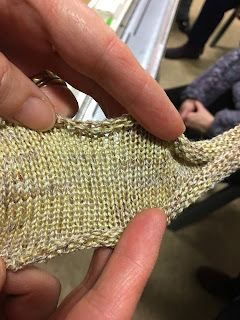 A challenge was set at the meeting for everyone to try to knit an edging pattern that was partially demonstrated during the meeting and bring to the May meeting. The competition entry this month was made by Margot. 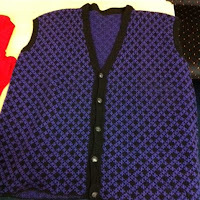 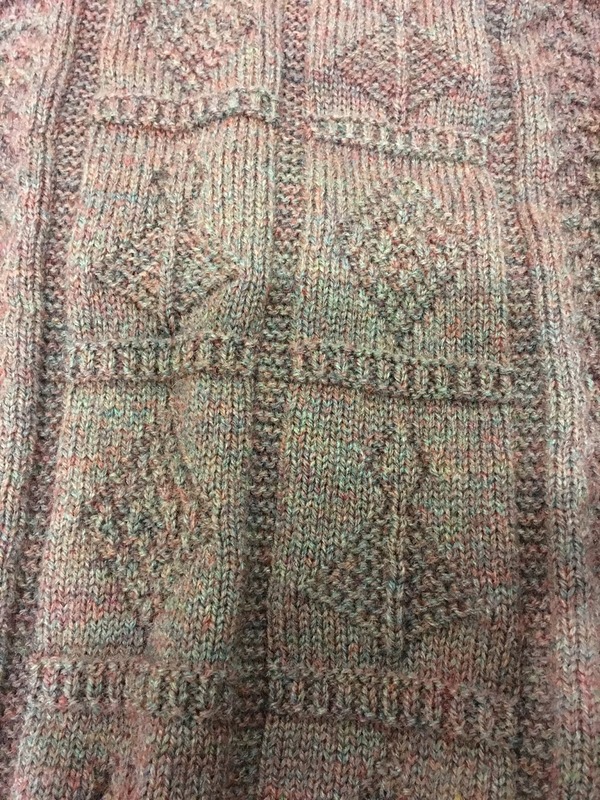 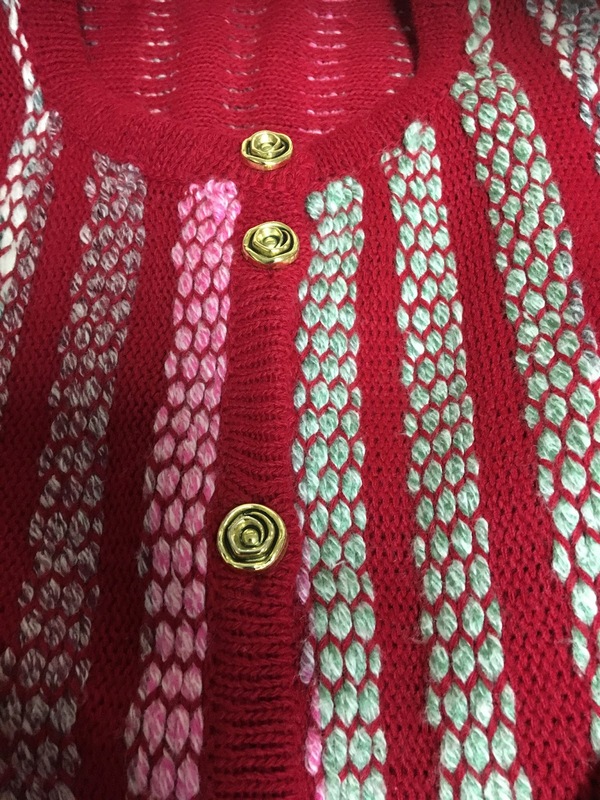 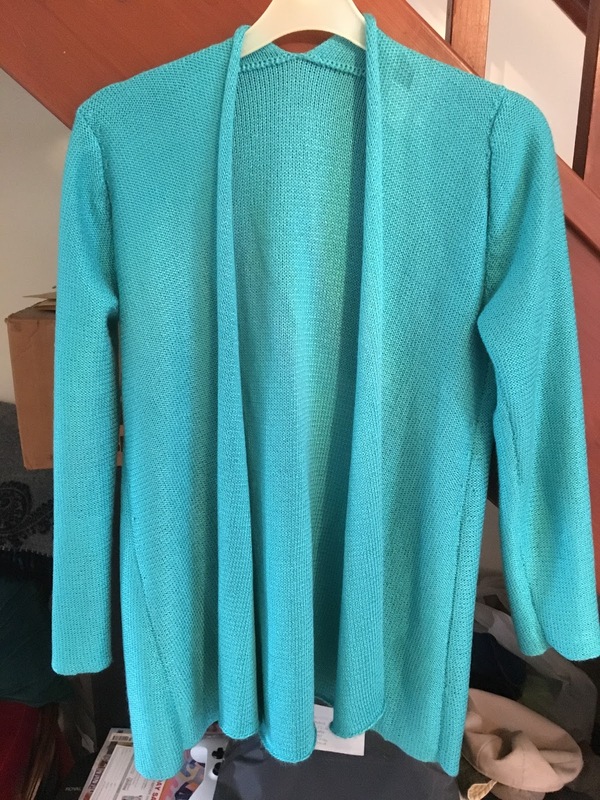 It is a jacket sideways knitted with knitweave pattern and fancy yarns. 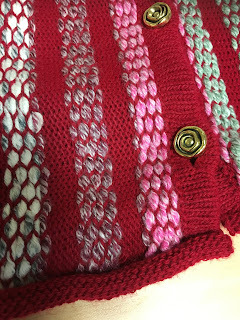 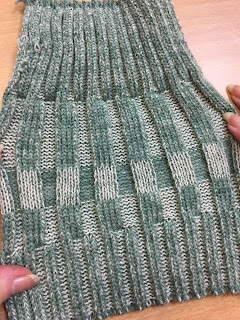 The May meeting will have Shirley talking about machine knitting the entrelac technique and demonstrating it on the LK150. 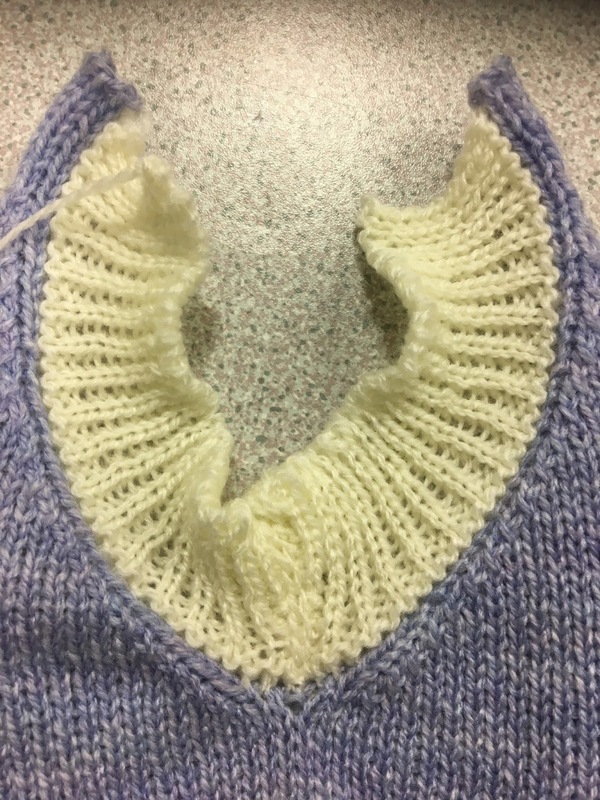 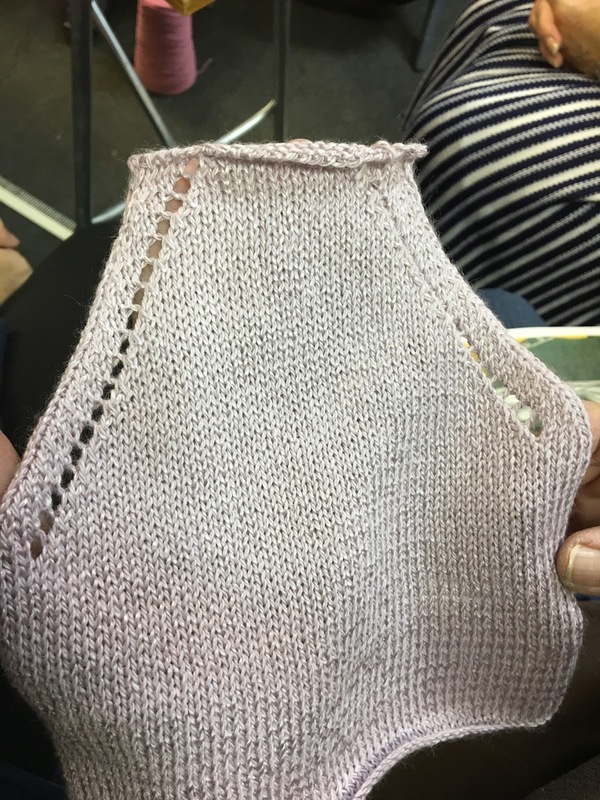 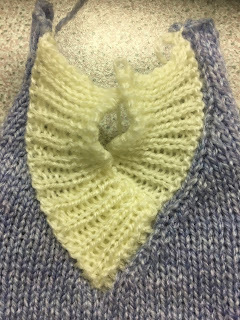 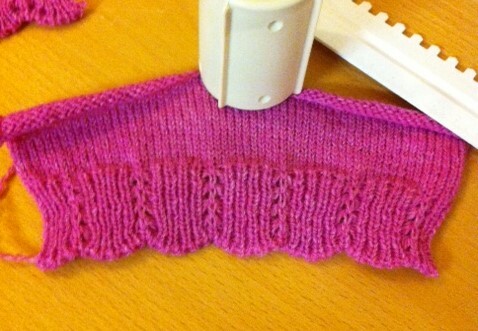 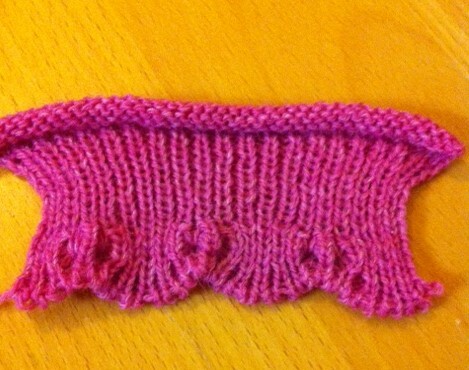 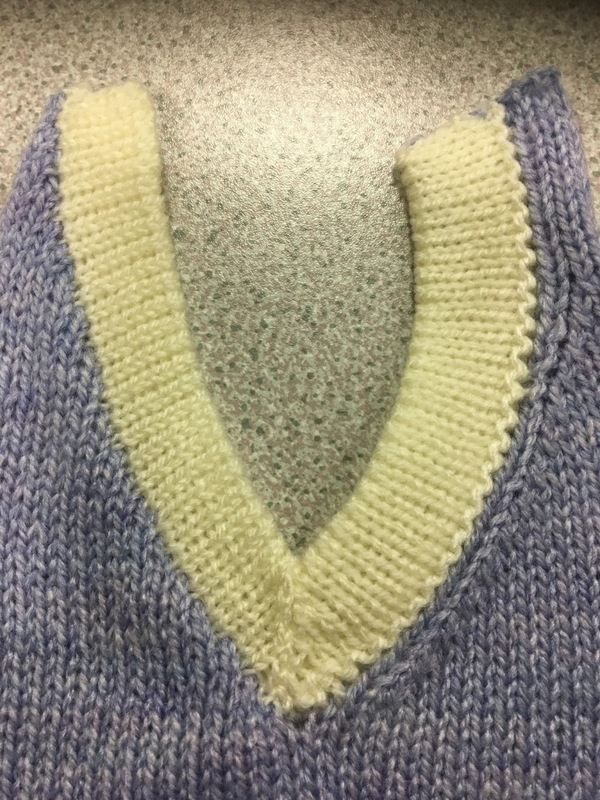 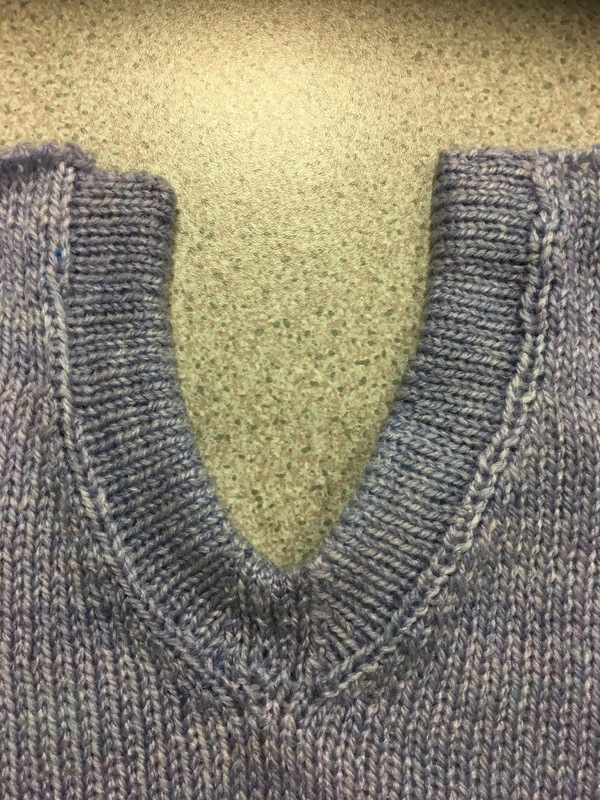 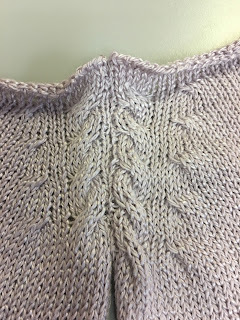 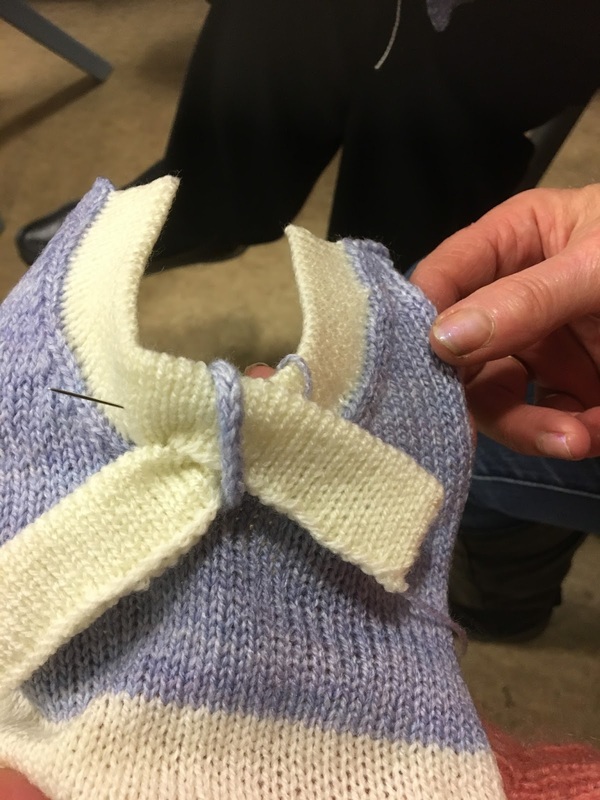 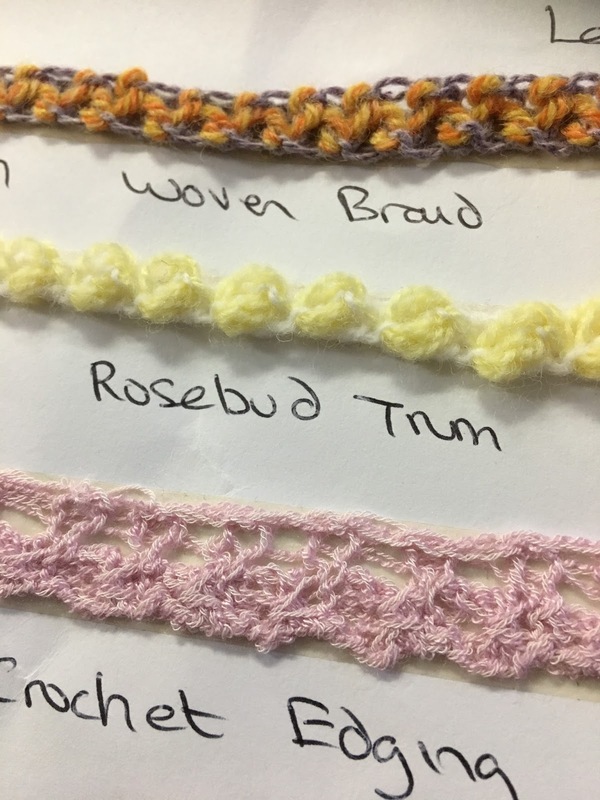 At the March meeting Sandra talked about v neckbands and various ways to knit them. 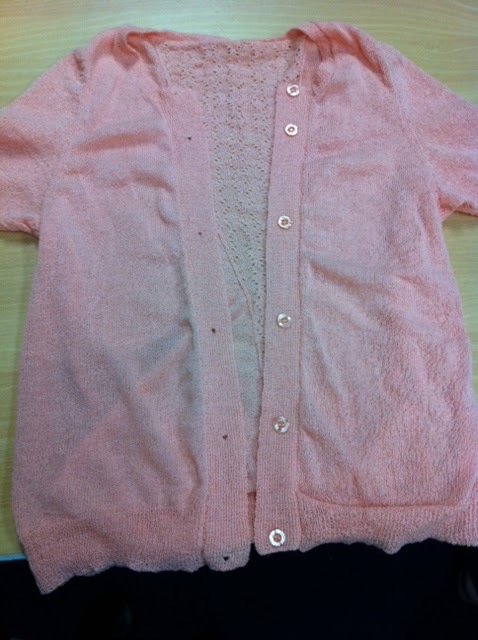 A few photos are shown below. 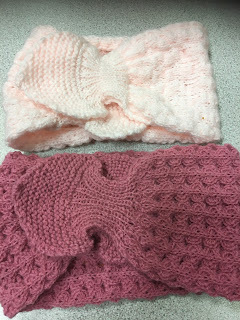 The following are the competition entries for March. 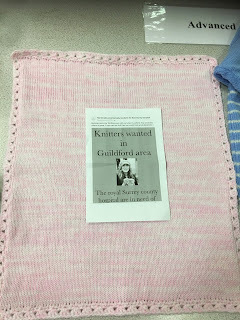 The categories and placings will be updated. 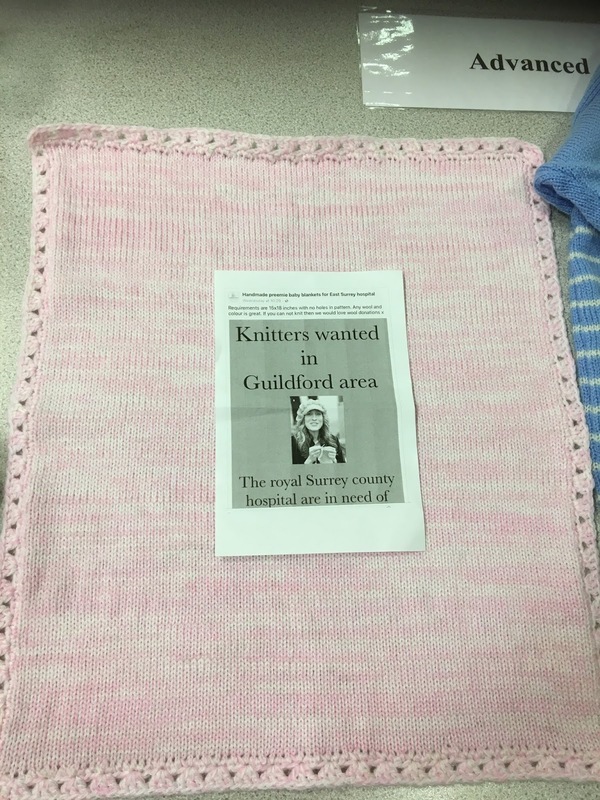 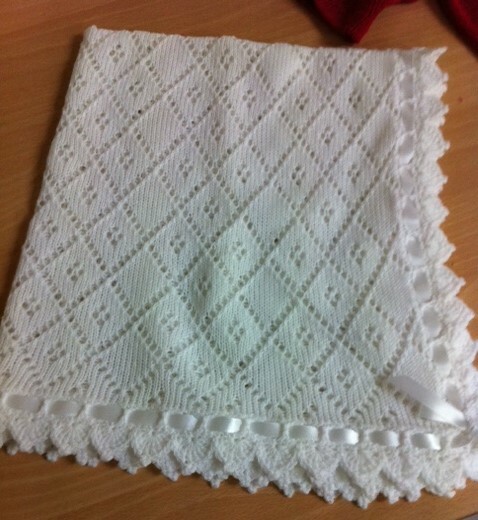 Vee made this baby blanket and it came with a request to knit for Guildford's Royal Surrey Hospital Baby Unit. 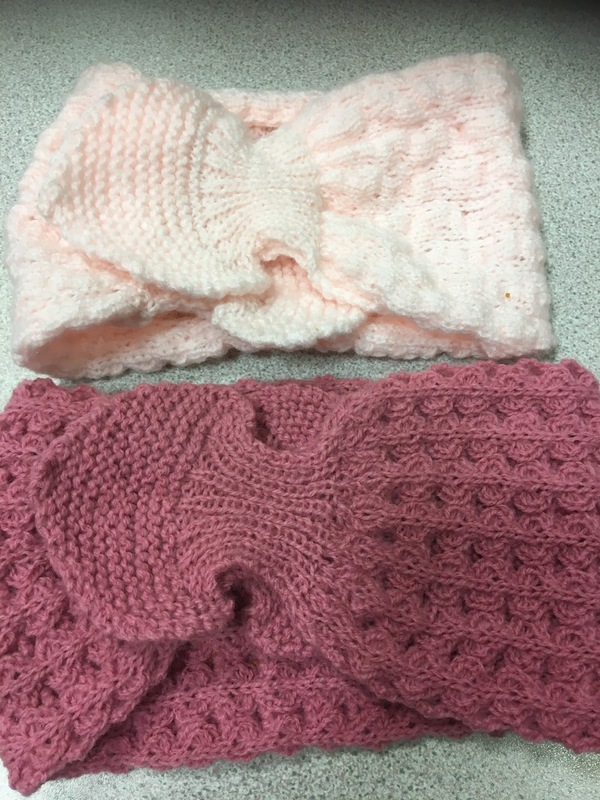 These were knitted by Jenny on the Passap and are cosy little cross over short neck warmers. 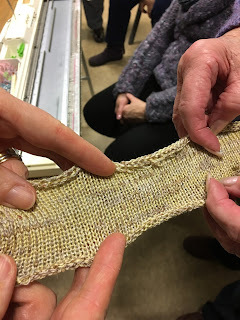 The February meeting topic for demonstrating and discussion was about machine knitting gadgets and accessories. 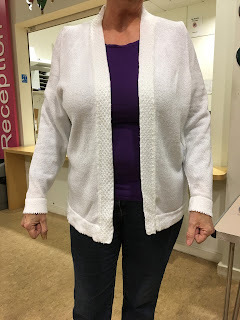 The trip to Bournemouth MK Live was discussed as the group planned to travel together by minibus like we did last year. The following pictures are the stacking yarn twister that was demonstrated. 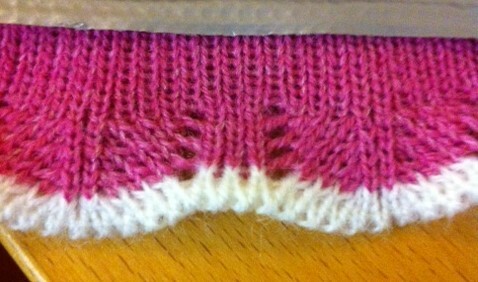 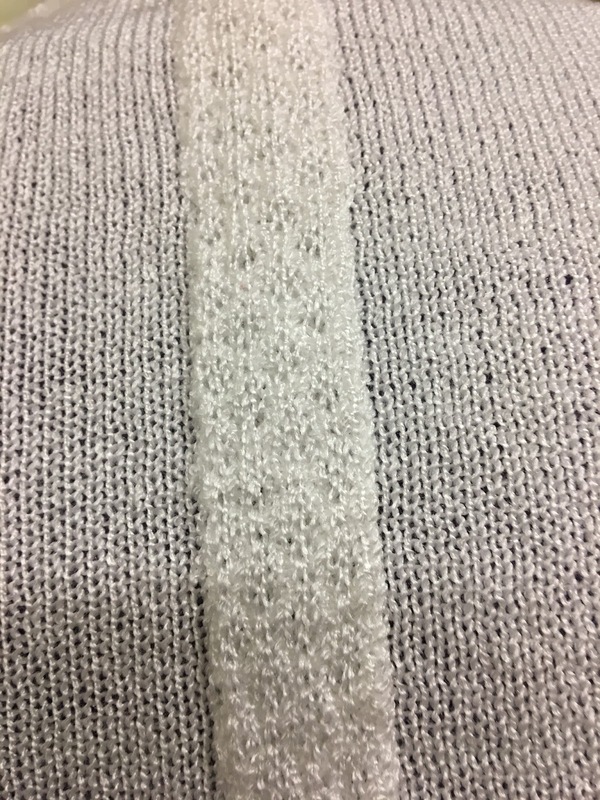 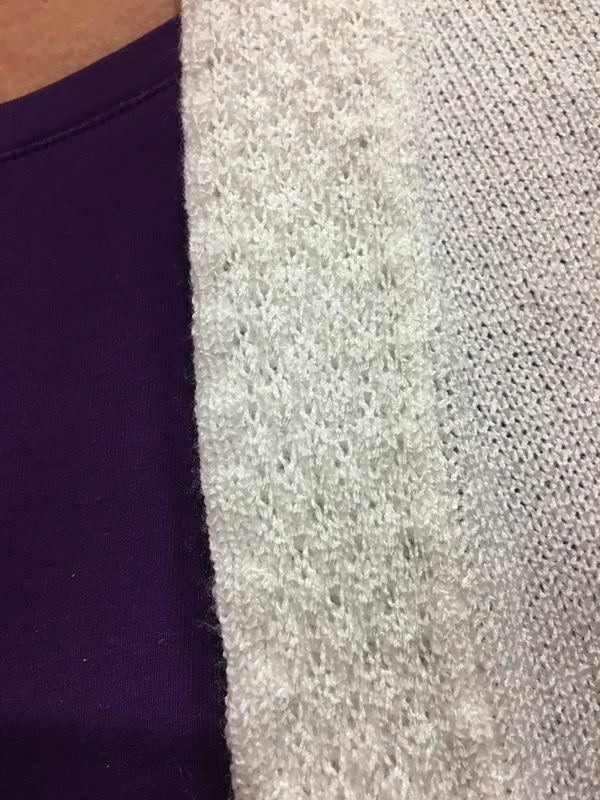 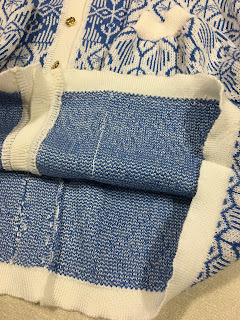 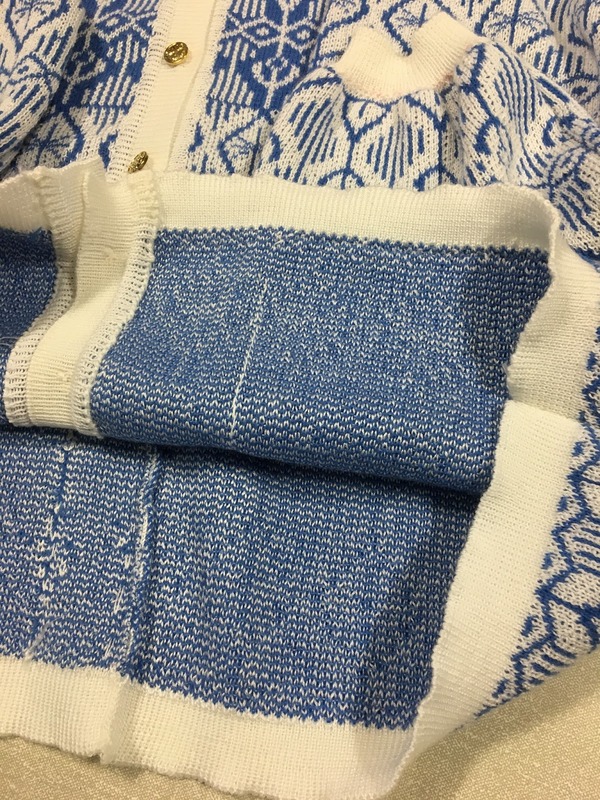 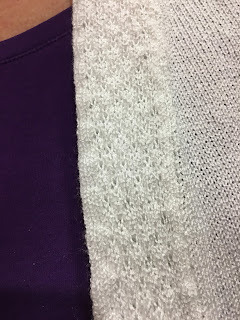 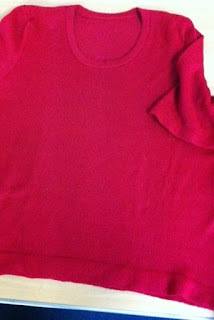 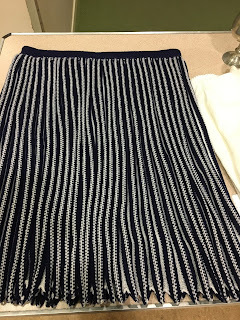 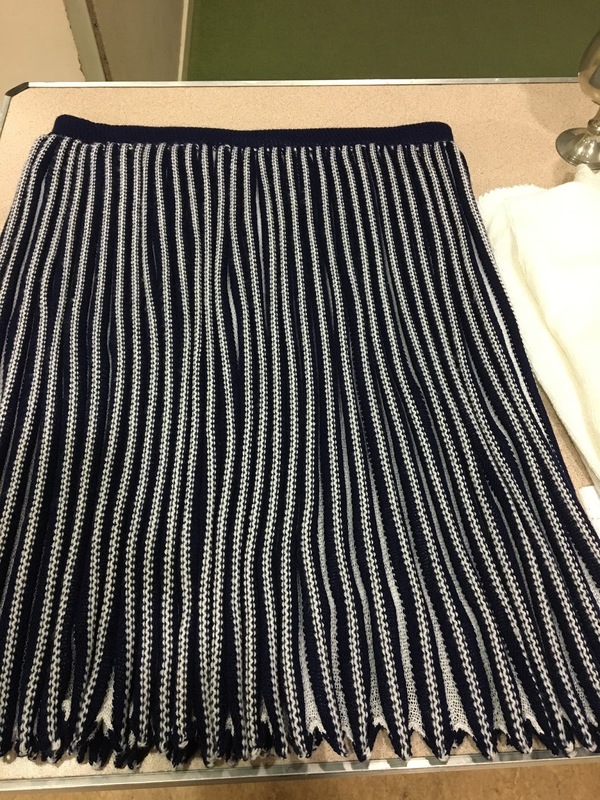 Samples were knitted up from the resulting fabric and the 3 colours shown. 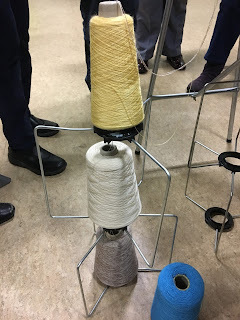 The yarn produced was not as tightly and evenly twisted as the style of twisters that wind and twist either by manual handle or electric power but did produce a successful fabric with a good spread of the different yarn colours throughout. 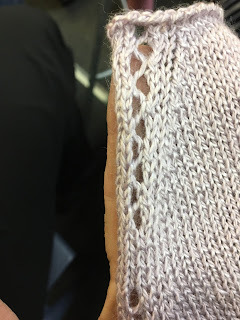 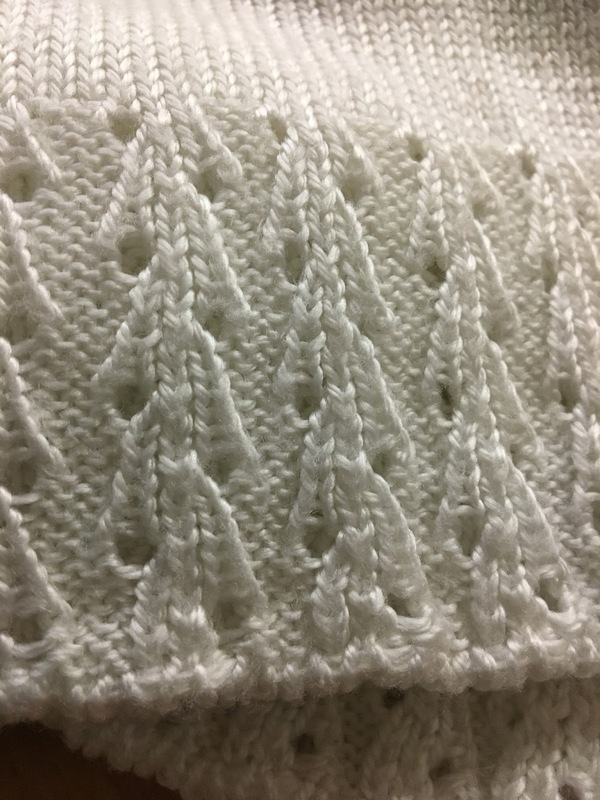 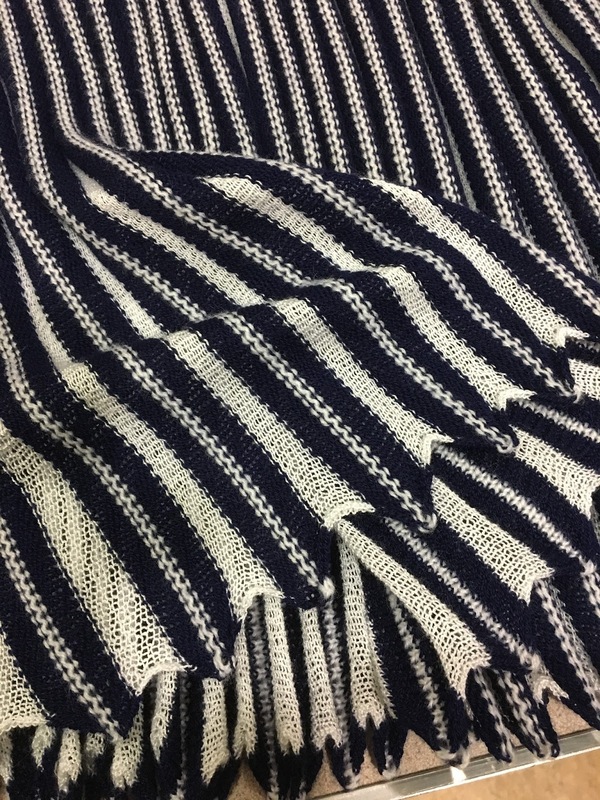 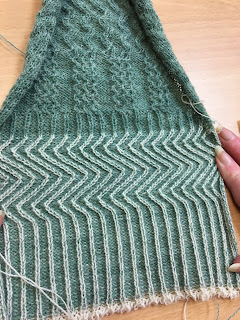 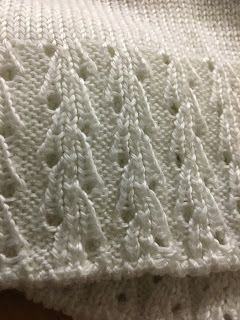 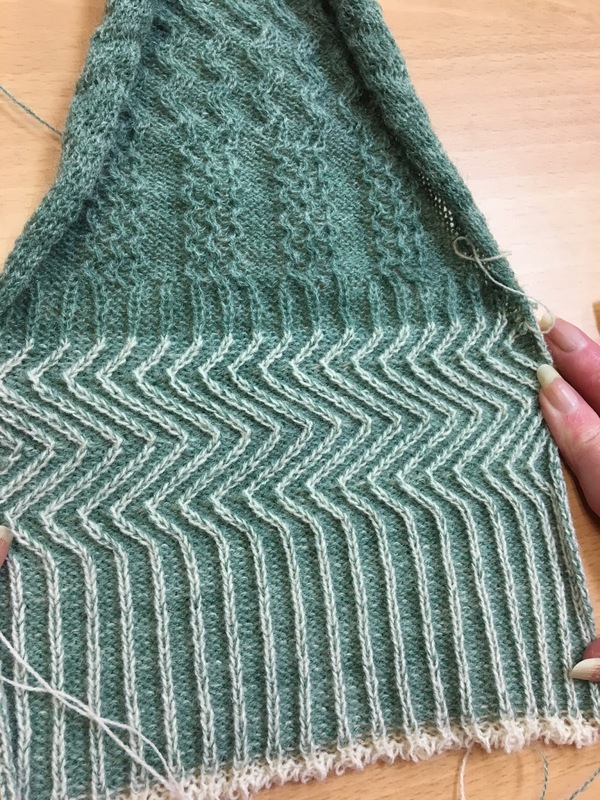 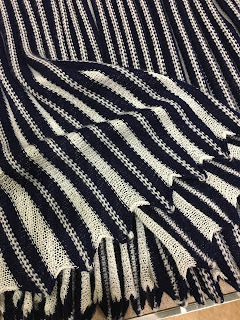 No uneven blocking, which is what can happen if all ciones are threaded directly through the yarn masts and knitting without any twistingat all. 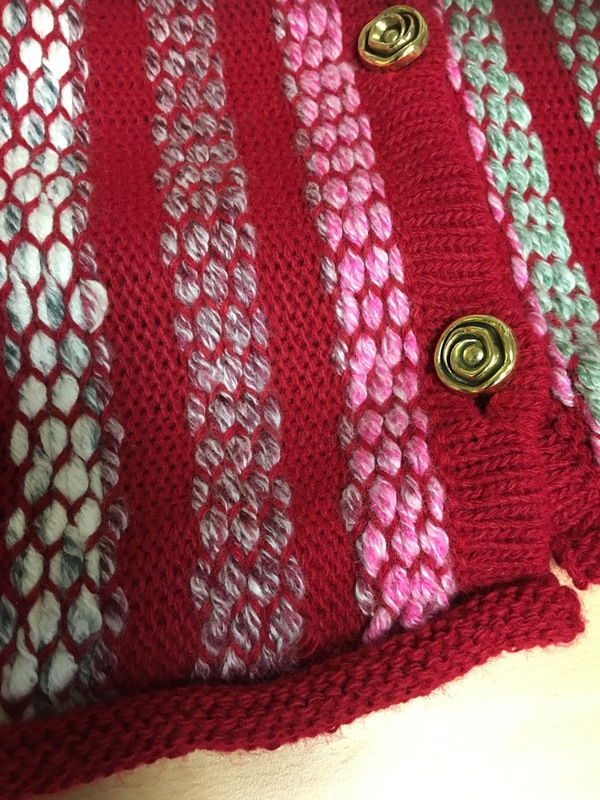 The competition had 5 entries this month. 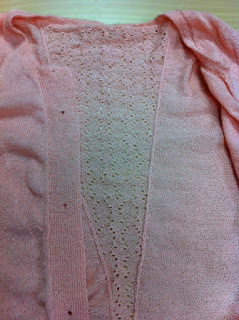 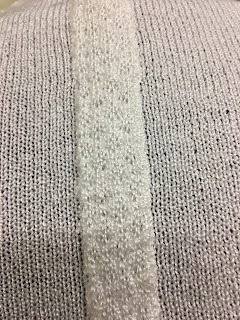 1st - Sandy knitted a white jacket with interesting details down the centre back. 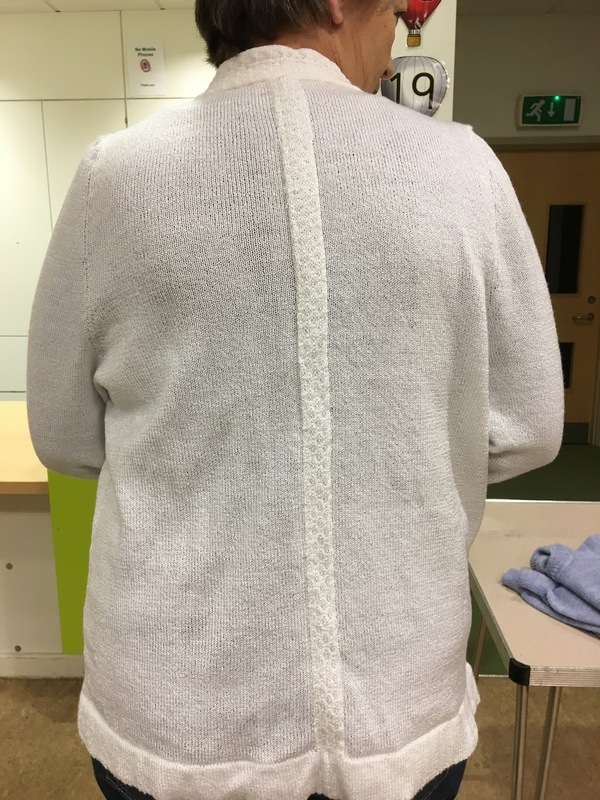 Joint 2nd - Marcia had made a double bed tuck jumper on her Passap in beige although the lighting makes it look yellow and used cut and sew. 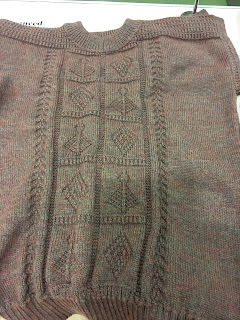 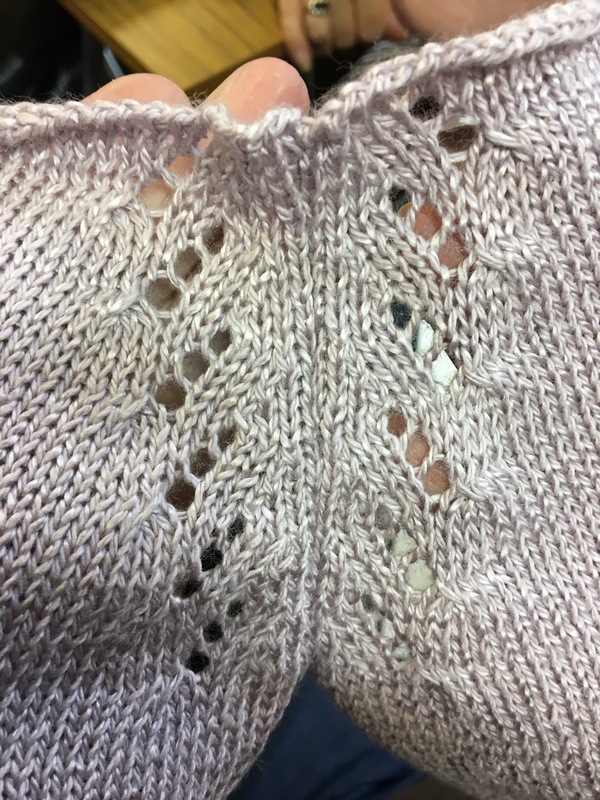 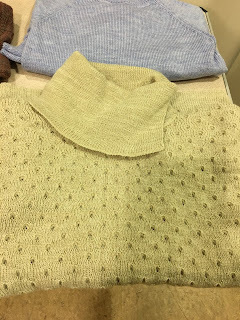 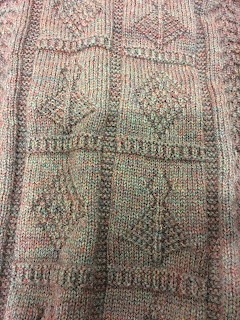 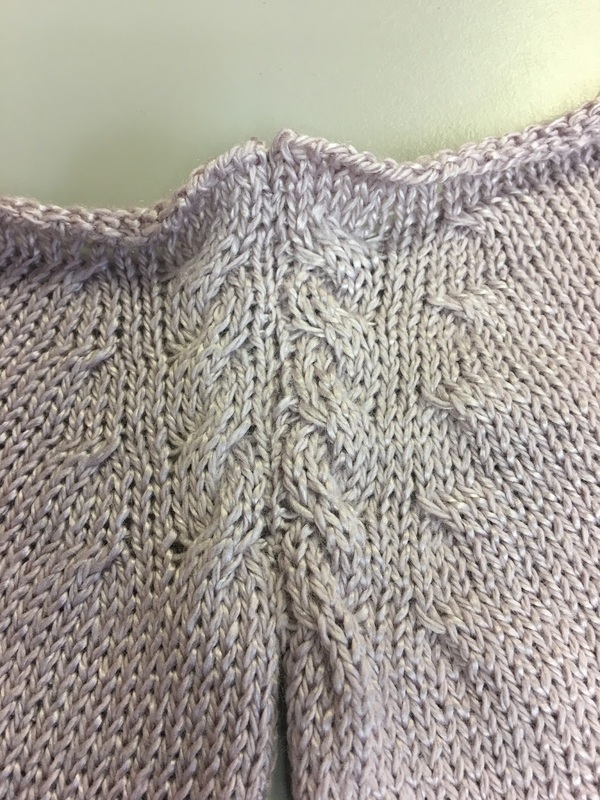 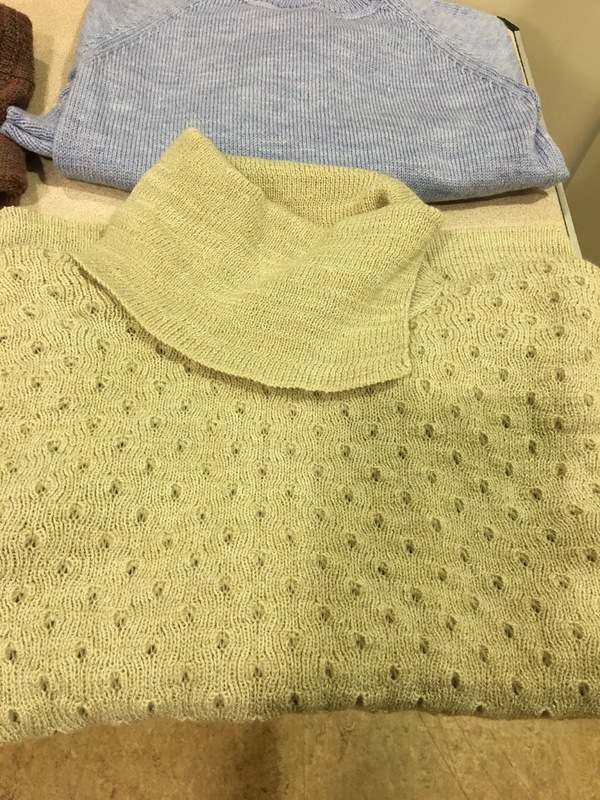 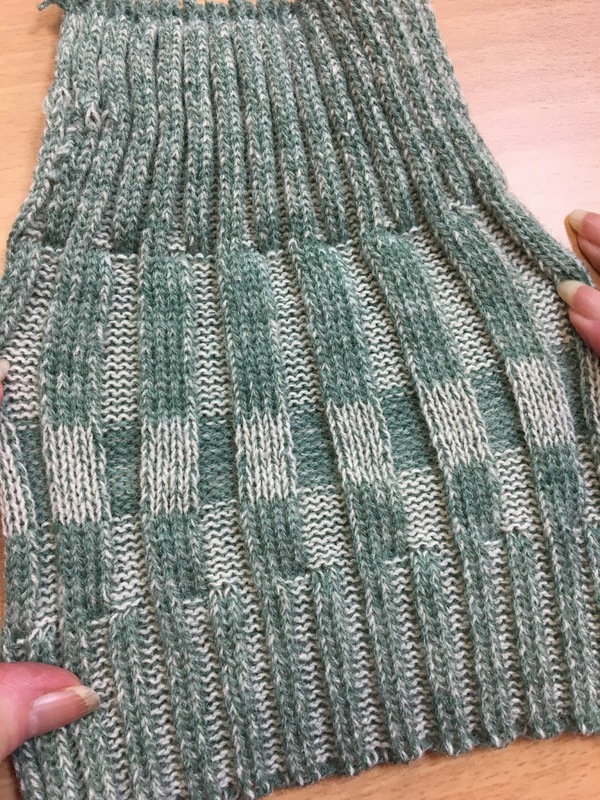 Joint 2nd - Janet created a jumper using her garter carriage for textured designs in a brown coloured Forsell yarn. 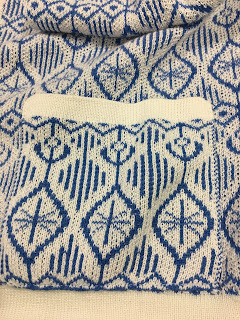 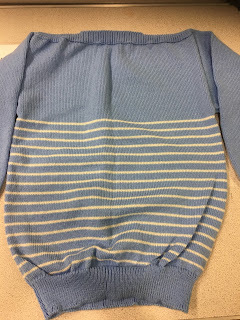 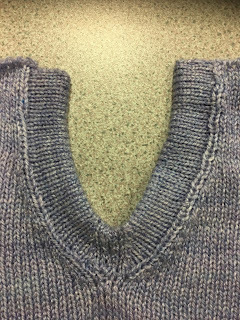 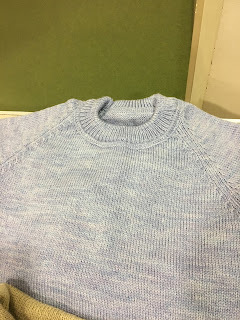 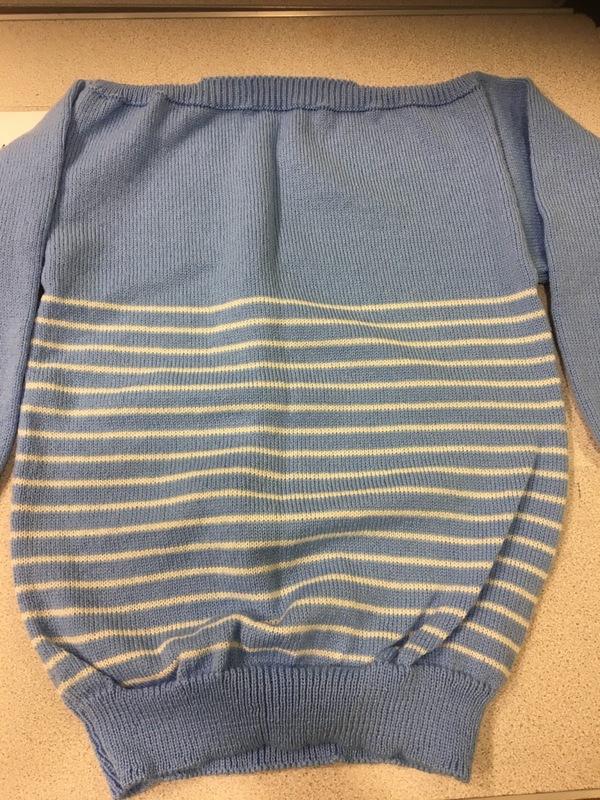 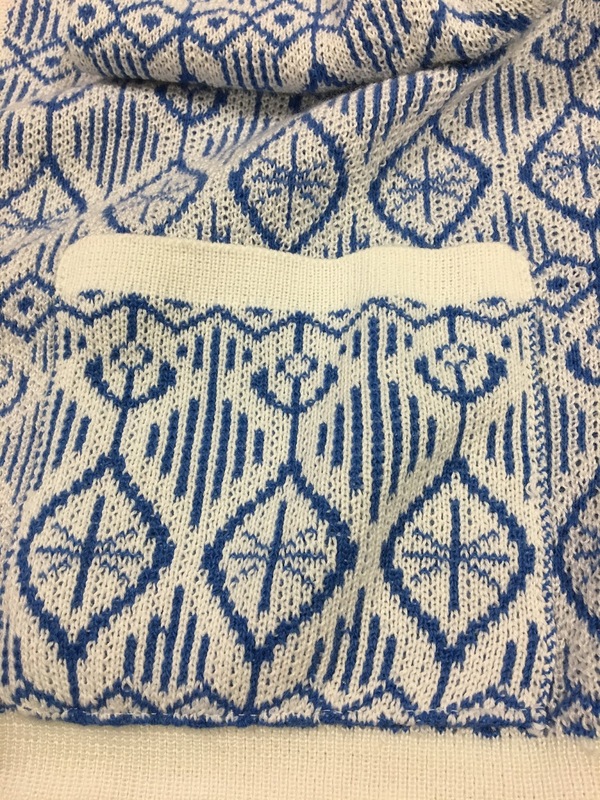 4th - Sandra made a blue raglan jumper in 4 ply yarn. It was the Charity evening for the October meeting. The topic this month is the 'Ribber'. 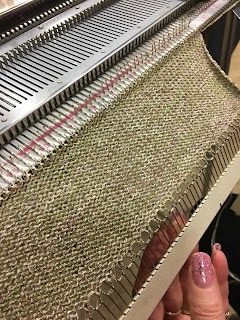 Items discussed or demonstrated on the machine using a Brother KH864 and KR850. 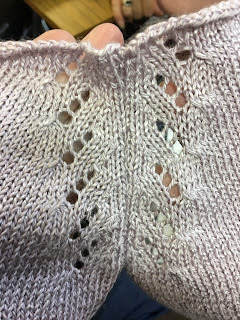 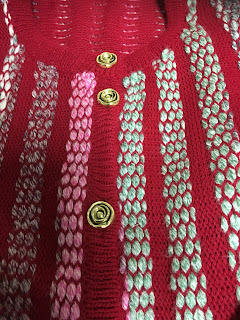 Sandy knitted the pink cardigan in crepe and the back has a lace panel into a v.
1st Valerie with a white lace shawl with crochet edging threaded with ribbon.